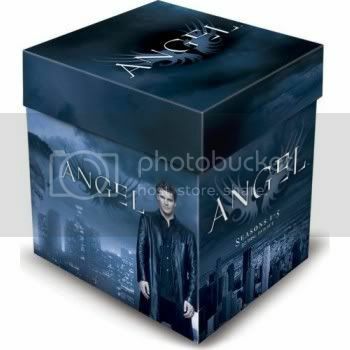 Geek Steal: 64% off the Angel - Seasons 1-5 DVD Set! I’ll keep this short and to the point, since the first act of Flu-apalooza 2008 just took the stage within my sinus cavity… and the amps are dialed to 11. For today only, Amazon has the entire Angel Seasons 1-5 30-Disc DVD Set on sale for $50.99, which is 64% off the list price and $50.99 off yesterday’s price. And if that doesn’t do it for you, Amazon still has 60% off other boxed sets and a bunch of other DVD sales still going on. Remember, only you and your wallet can keep this economy propped up. You know…. along with 150,000,000 of your consumerism-inclined friends.